PT Mass Rapid Transit (MRT) Jakarta is about to conduct signaling integration trial towards three trains on the main track on August 9.
" 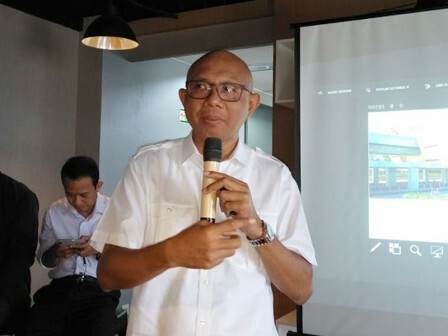 It's a form of preparation for the first phase of the MRT operation (Lebak Bulus-HI Roundabout) in March 2019"
"It's a form of preparation for the first phase of the MRT operation (Lebak Bulus-HI Roundabout) in March 2019," said PT MRT Jakarta Presidential Director, William Sabandar, Monday (8/6). He explained its process does not involve passengers but the testing team for safety reasons. Whereas for the entire construction project up to July has reached 95.33 percent. "For MRT underground section has touched 97.26 percent. While for the depot and elevated section has touched 93.41 percent," he explained. Thus far it is still under testing on rolling door for 3,000 times. Then the lag time of rolling door with train arrival must be right. The entire railway track would be connected entirely at the end of July. "This is already a finishing process. Preparation of system integration with trains, human res ources are also in preparation," he said.